You may recognize Peanut, the small waisted turtle that obviously didn’t get her slender figure from exercising. Photos of this poor turtle have been making the rounds across the internet over the last couple weeks, but what’s the story behind her travail? Apparently she was trapped in a six-pack ring at a young age, couldn’t get out of it, and her body continued to grow around it. 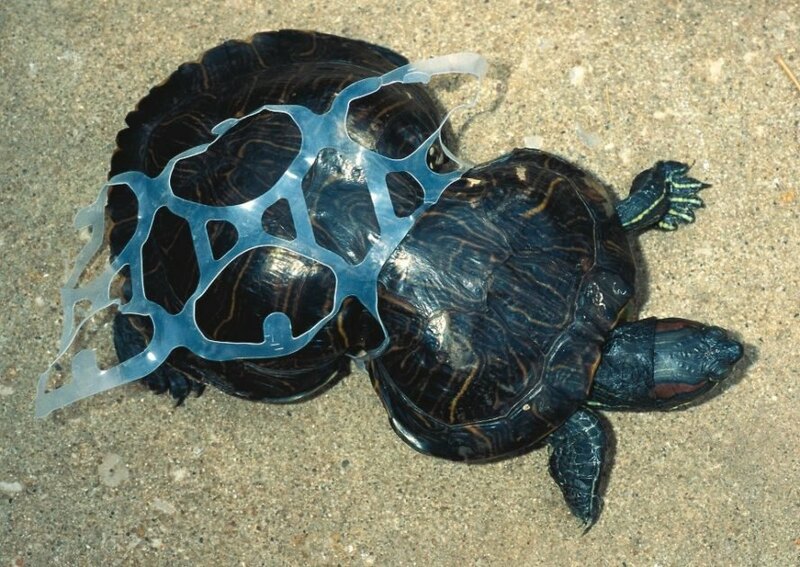 A turtle’s shell protects its body and Peanut was able to live with the plastic around her waist for a while, but due to the deformation, some of her organs failed to develop completely. She was luckily found back in 1993 in Missouri and taken to a zoo in St. Louis were vets freed her from the plastic six-pack ring. She is still being looked after by the Missouri Department of Conservation and the good news is that she is ring-free and roaming around. While Peanut’s story ended well (relatively speaking), she just highlights the effect our excess consumption and waste have wreaked on defenseless animals around the world. MY advise is to avoid buying the junk that is wrapped in this crap! You may recognize Peanut, the small waisted turtle that obviously didn’t get her slender figure from exercising. Photos of this poor turtle have been making the rounds across the internet over the last couple weeks, but what's the story behind her travail? Apparently she was trapped in a six-pack ring at a young age, couldn't get out of it, and her body continued to grow around it.